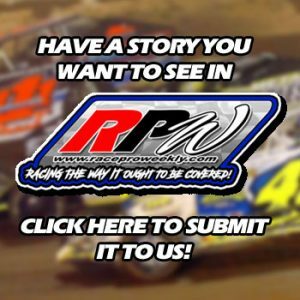 Story By: KOLBY RAMEY / BRIDGEPORT SPEEDWAY – SWEDESBORO, NJ – Drivers, owners, crew members, fans and track employees filled the Bridgeport Fire Company’s Social Hall to celebrate the 2018 season champions. For the third consecutive year, Ryan Watt and his Ron Roberts No. 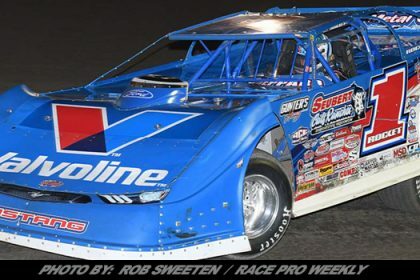 14w Racing Team dominated the Spirit Auto Center Big Block Modifieds, capturing six wins and finishing no worse than third in in any of the Big Block action on the 5/8th mile track. Watt originally came to Bridgeport as a driver for car owner, Chad Sinon’s BPG operation. When a blown motor late in the season, threatened to bring an end to Watt’s season, it was Roberts who offered him a power plant to complete the season. Watt was always willing to help another team out and it was that level of sportsmanship that prompted Roberts’ offer to help. And as they say, the rest is history. 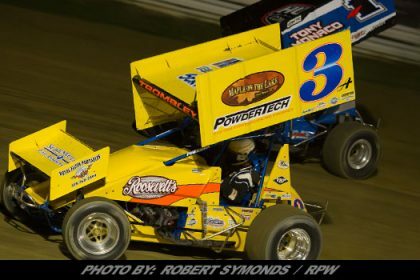 Billy Pauch raced to three wins during the 2018 season and was Watt’s closest competitor. 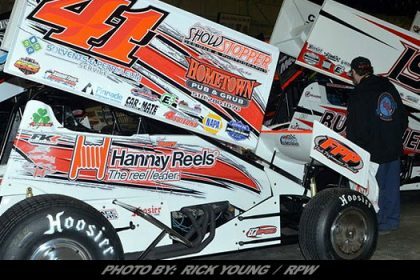 Sam Martz, Richie Pratt Jr. and Wade Hendrickson each won a single feature during the season. Jim Britt, Tommy Beamer and Neal Williams trailed Watt and Pauch in points to complete the top five. Pratt, Hendrickson, Roberts, Martz and Bucky Kelly finished sixth through tenth. Watt was also crowned as the 2018 811 Dig Safely Poker Series Champion sponsored by Colonial Pipeline. Watt’s pair of Aces (2 wins – 60 Over Special and King of the Big Blocks) gave him the best Poker Series hand over Jimmy Horton who had a pair of nines and Jim Britt with a pair of sevens. Jeff Strunk received an award for the worst hand in this year’s Poker Series events. 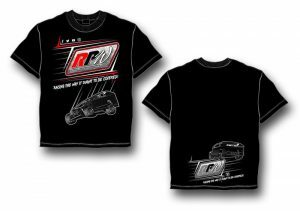 The top twenty positions were honored in the Stewart Stainless 602 Crate Sportsman Division to recognize the success and the support of the competitors to this division in its first year at the Bridgeport Speedway. Eric Kormann was the top point man in this division, based on a season of very consistent finishes. David Crossman, a Rookie graduate, had his best season to finish second in points with Tom Moore, Jr. taking third with one feature win. Tommy Errico, Jr., a 2017 Rookie graduate finished fourth in points with a single victory followed by Frank Dorry, jr. in fifth. Wayne Weaver , Bobby Bracall, Brad Roberts ( 2 wins), Jim Gallagher (2 wins) and Sammy Martz, Jr., the 2018 Rookie Champions rounded out the top ten in points. 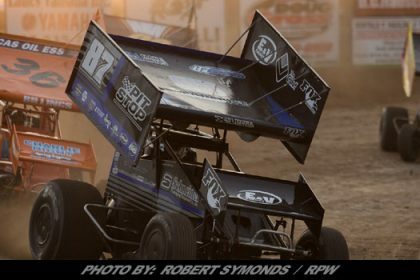 Steve Kemery took the 811 Dig Safely Poker Series for the 602 Crate Sportsman, winning twice in the final three races of the season. Wayne Weaver’s pair of Queens placed him second to Kemery’s pair of Aces. Chris Jenkins finished third with Frank Dorry winning the prize for the worst hand in the 2018 811 Dig Safely Poker Series. Jeramy Doerr picked up his first ever Penn Co Tech Outlaw Stock championship over the 2017 Champion, Tom Wills, Jr. Doerr was the winner of five feature events during the season, including the first race run on the 3/8th mile track during the Pre-Season Points. Michael Creamer finished third in points after capturing his first Bridgeport victory. Lee Allen finished fourth in his first full season of Outlaw Stock competition with Brian Ludwig finishing fifth. Gary Elliott, Darren Cox, Jeff Dirkes, Paul Donahue and Steven Land complete the top ten in the Outlaw Stock rundown. Tom Wills, Jr. win in the final 811 Dig Safely Poker Series race of the season gave him his third Poker Series Championship. Opening day winner, Rich Stinson finished second with Jeramy Doerr taking third. 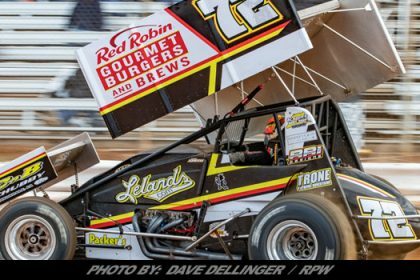 A Pre-Season Point Series was conducted with three races scheduled to be run on the 3/8th mile track early in the season. Two races were run with the third race falling to the weather. 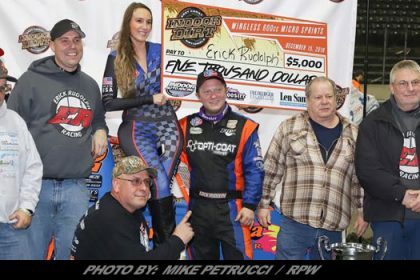 With two wins – including his first win in the Short Track Super Series – Jeff Strunk won the Pre-Season title in the Hyneman No. 126. Ryan Godown finished second with Duane Howard and Rick Laubach tied for third. Matt Stangle finished fifth. Tom Scheetz, Sr. was the Pre-Season Champion in the 602 Crate Sportsman with two top ten finishes. 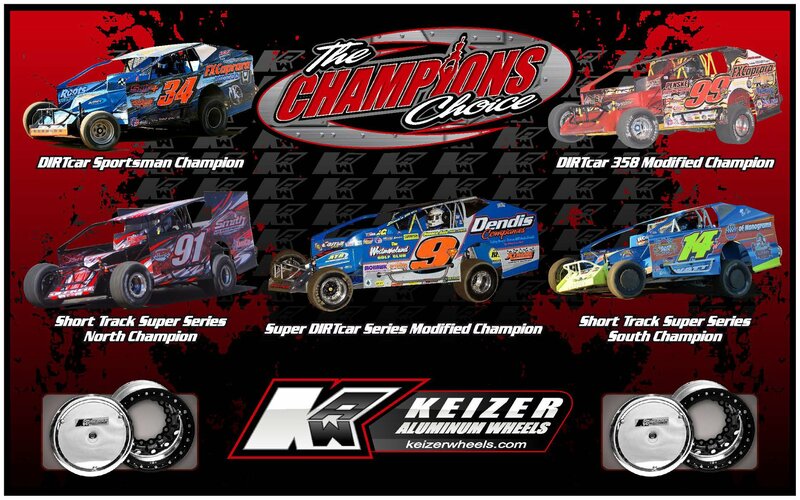 Following Scheetz in the Pre-Season contest were Eric Kormann, Steve Kemery, Ryan Simmons and Frank Dorry. Jeramy Doerr was the top point man in the Outlaw Stock in Pre-season competition followed by Tom Wills, Jr. and Spider Ensinger. Danny Serrano recognized several individuals for their support of the Bridgeport Speedway. Recognized were Bill Calvert and Family who sponsored both the 600 and 270 Micro Sprints with their Ace Overhead Door Company this season; Ken Andreas who has created the very special trophies for the Skyscraper events for the past two years; Scott Hulmes who supports all of the special events – fairs, car shows, parades – with his equipment and is always there to support his fellow competitors as well as the Bridgeport Speedway; Nick Skias who demonstrated supreme sportsmanship when he went to the aid of fellow title contender, Alex Swift, to insure that Swift would be able to race in that night’s main event and Jim Britt, who in addition to being a competitor in the Big Block Modifieds has offered his help and support in any way he can throughout the season. Mike Rutherford picked up his first ever win and then his first ever Spirit Speedway 600 Micro Sprint Championship behind the wheel of the Gary & Donna Spotts and Earl Fellin owned No. 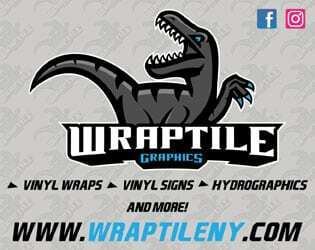 2S Kyle Spence, PJ Wiliams, Matt Smith and Mike Linderman completed the top five in the point standings. Matt Smith picked up his first Poker Series Championship for the 600s on the strength of his wins in the Skyscraper and Bill Thomas Memorial events. Gary Bozowski and Tommy Kunsman finished second and third. For the first time ever, the 270 Micro title ended in a tie with Nick Skias and Alex Swift named as co-champions for the 2018 season. Skias raced for Jim Widdoss while Swift was behind the wheel of the John Blanda machine. The title literally went down to the last lap of the final race of the season. Doing double duty, Mike Rutherford finished third followed by Andrew Locuson and Ken Andreas. Like Smith, Jacob Hendershot used his wins in the Skyscraper and Bill Thomas Memorial race to collect his 2018 Poker Series Championhip over Pat Bealer and Alex Swift. Dave McCullough’s four feature wins put him on top of the Friday night Slingshot Championship for 2018. It was McCullough’s first Championship. Dave Morrell, Robin McTighe, Rich Afflerbach and Tomas Mowery trailed McCullough in points. 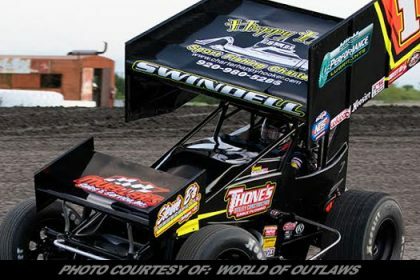 Behind the wheel of the S&S Speedway No. 55, Jared Silfee took the wins in three of the four Poker Series events to capture the 2018 Championship Energy Action Track USA Poker Series title for the Slignshots. Brett Bieber had the second best Poker Series hand with Ashley Therien taking third. The i2M Four Cylinder competition was a family affair this year as Joe Garey Jr. picked up multiple wins to take the title over his dad, Joe Garey Sr.
Lee Allen made it two years in a row with the Eight Cylinder Enduro cars, taking the championship by winning two of the three races this season. Allen has won the title four out of the last five years. Scott Riggleman was Allen’s closest competitor followed by Derek Jones. Now that the 2018 season has officially ended, everyone is looking forward to the next season. 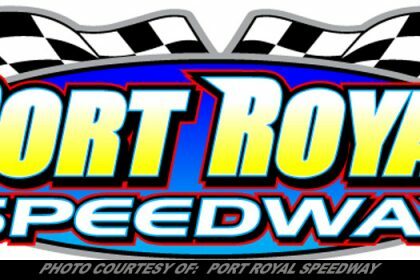 The 2019 season will get underway at the Bridgeport Speedway on March 30th, 2019 with the running of the 60 Over Special – the Doug Hoffman Memorial Race. Stay tuned for future announcements about other big dates at the Bridgeport season this season.rs, crew members, fans and track employees filled the Bridgeport Fire Company’s Social Hall to celebrate the 2018 season champions.